Check out one of the other websites that we have. We are steadily growing, and adding more ideas to these pages daily. We hope that we are a blessing to your Sunday School Class or your Children's Church. We are striving to make these websites compatible with your needs. May the Lord Jesus Christ bless you. Feel free to pass us on to others who can use us, and link back to us if you feel led by the Lord do so. Thank you so much for stopping by. This site contains Christmas stuff for Sunday School. Christmas Clipart, Christmas Sunday School Lessons, Christmas Animations, Christmas Crafts, etc. 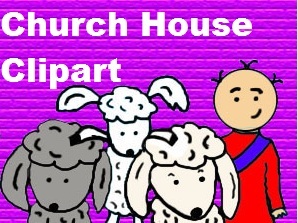 This site has crafts for Sunday School or Children's Church. This site has a little bit of everything. It has Christian Clipart, Christian Glitter Graphics, Parables of Jesus, Recipes, Children's Church Ideas, VBS Stuff, Songs, Bible Stories, 10 Commandments, Beatitudes, 10 Plagues Of Egypt, Salvation, Sunday School Lessons, Bible Crossword Puzzles, Word Searches, and much more coming! This site has Bible puzzles like Word Searches and Crossword Puzzles for Sunday school or Children's Church for adults and kids.